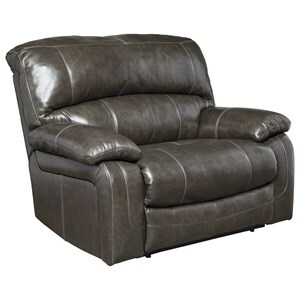 The Damacio leather match upholstery collection provides luxuriously comfortable seating for your home’s living room. The casual contemporary styling features plush pillow arms, divided bustle backs, and beautifully stitched details that complement the over sized seating. 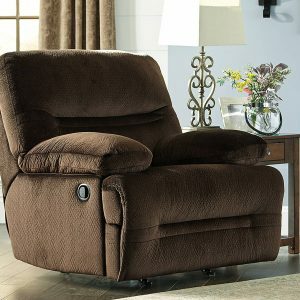 Settle in to watch movies or just hang out with family and friends with your wide seat recliner.